Exiles and refugees in the modern world can take their gods with them, but it was not always so. This production places the action in a very distant past, and when Roberto Alagna as Radames sings in Act III that Aida is demanding he abandon his homeland, and therefore his gods too (Abbandonar la patria, l’are de’ nostri dei! ), it was a riveting moment. In my review last year when David McVicar’s new production was first performed, I was very positive about the fact that it was set in an ancient civilization having nothing particularly Egyptian about it. I appreciated its raw energy, with the stylized masculine combat, human sacrifice, and female sexuality, and this was all very welcome. On a second viewing I found things to criticise that may or may not have been present a year ago. When Aida enters along with other slave women beholden to the princess Amneris, all except Aida hang their heads and droop their bodies in a way that would be more likely to irritate than please a princess, and if Amneris likes to see around her women who are cowed into abject submission, then why does she tolerate Aida being so vastly different? The poses of the ballet dancers as warriors seemed a bit overdone, and the lesbian choreography for the women was dull. When the Ethiopian prisoners are brought on stage, the guards’ over-aggressive poses seemed to indicate a lack of confidence on their part. 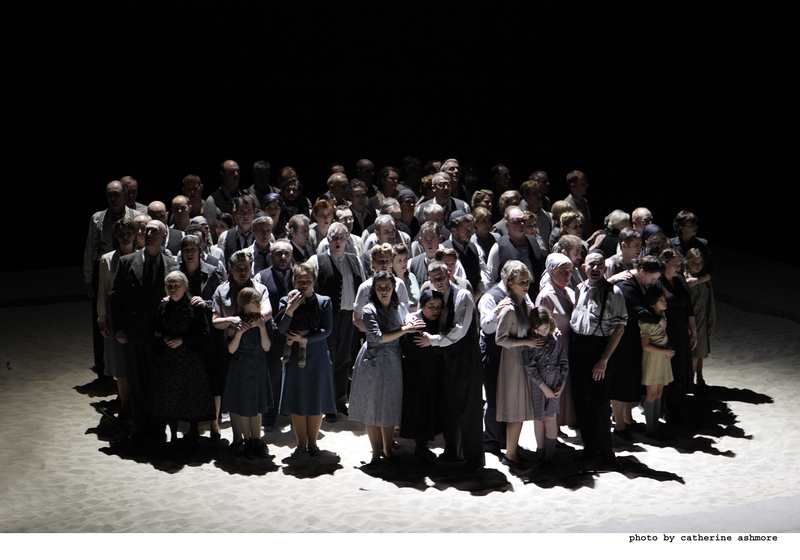 But these complaints are mostly to do with the movement on stage, and are not necessarily intrinsic to the production. 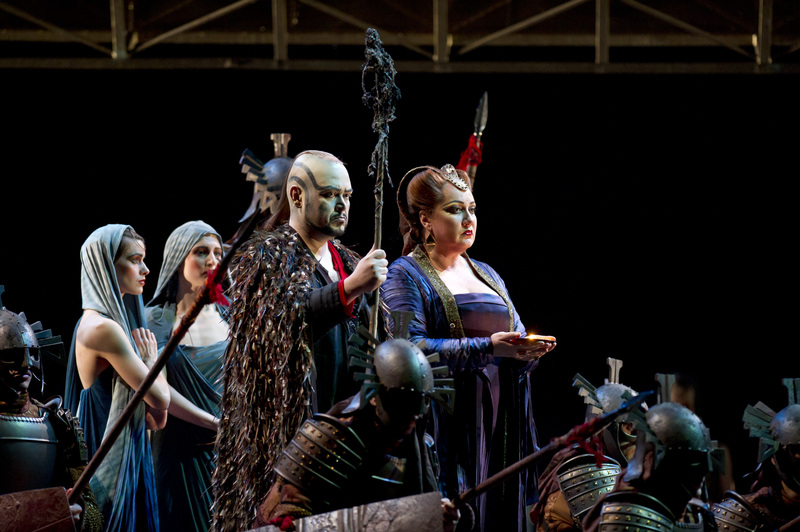 The singing and conducting are the main things, of course, and Olga Borodina as Amneris showed enormous gravitas, singing with huge lyrical power. For me she was the star of the show, though I also found Michael Volle terrific both vocally and in terms of his stage presence as Amonasro, king of the Ethiopians and father of Aida. 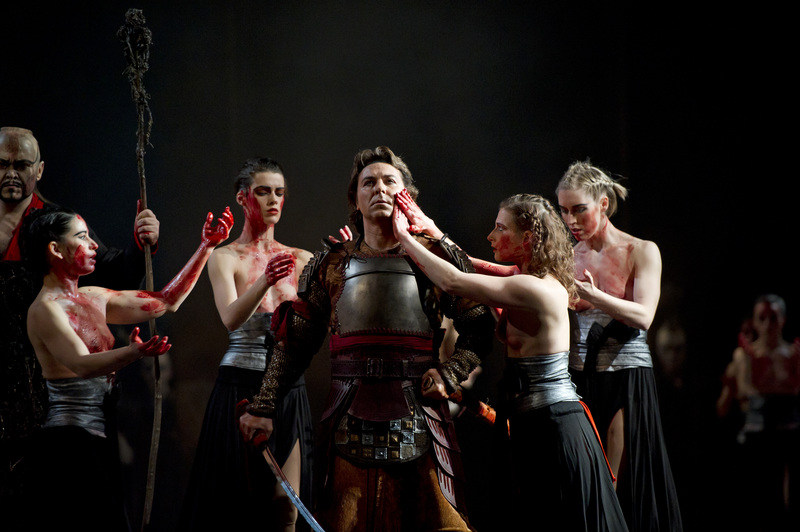 At the dress rehearsal, Roberto Alagna gained ground as the opera progressed, eventually carrying off the role of Radames with utter conviction. Brindley Sherratt gave a powerful presence to the King of Egypt, and I rather like the fact that this production portrays him as blind, or at any rate partially sighted, led round by a slave boy. Vitalij Kowaljov sang strongly as Ramfis the high priest, and in the dress rehearsal that I attended, Micaela Carosi reprised her role of Aida from one year ago, but despite some lovely quiet passages I felt she was too exposed on the high notes, with pitch problems in the loud passages. 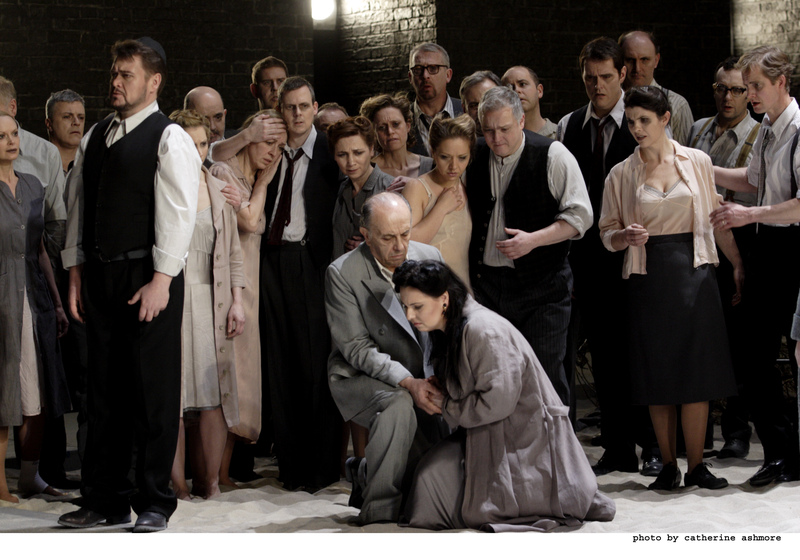 I gather she was replaced on the first night by Ukrainian soprano, Liudmyla Monastyrska, who is due to sing Lady Macbeth in May, opposite Simon Keenlyside. Conducting by Fabio Luisi was effective, and I loved the off-stage trumpets in the balcony. They played with such power and clarity it was a thrill to hear them. Performances, albeit with various cast changes, continue until April 15. 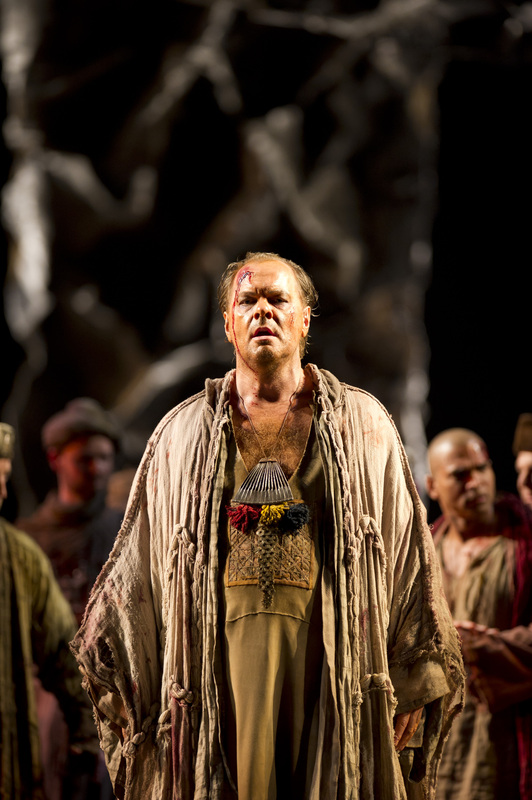 For example, Alagna is replaced by Carlo Ventre after the first three performances, and there are extensive changes in the last three performances, with Brindley Sherratt switching from King of Egypt to Ramfis the high priest — for more details click here. When Nino Machaidze sang Juliet’s fourth Act aria, Amour ranime mon courage she rose beautifully to the heights of emotion, and the tension was sustained in Act 5. This is when Romeo finds her in the tomb, drinks poison and she awakes so they can sing together, which they did superbly. It was a glorious ending, and Ms. Machaidze was obviously delighted with the well-deserved applause, though she had made a wobbly start with Je veux vivre dans ce rêve in Act 1, which expresses Juliet’s desire to remain in her girlish state. It was delivered with a harsh tone and excessive vibrato, more suitable for Tosca than the young Juliet, but in fairness to the singer it was her Covent Garden debut in this role, and she was understandably nervous. Her performance gained strength and subtlety as the evening progressed, and by the end she was terrific. 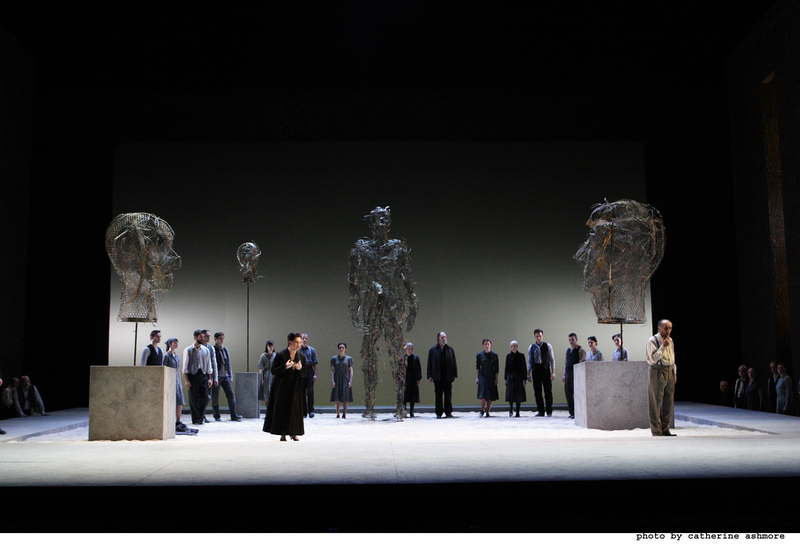 Piotr Beczala as Romeo was inspired throughout. 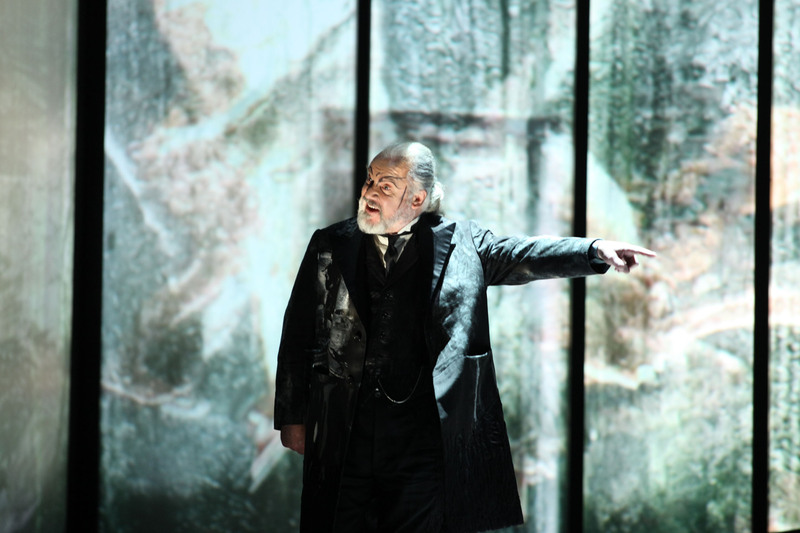 His voice was strong, well-controlled and romantically lyrical, and he seems to have an excellent knack for portraying impassioned young men — in 2009 I admired him as Rodolfo in Boheme at Covent Garden, and Edgardo in the live Lucia broadcast from the Metropolitan Opera. 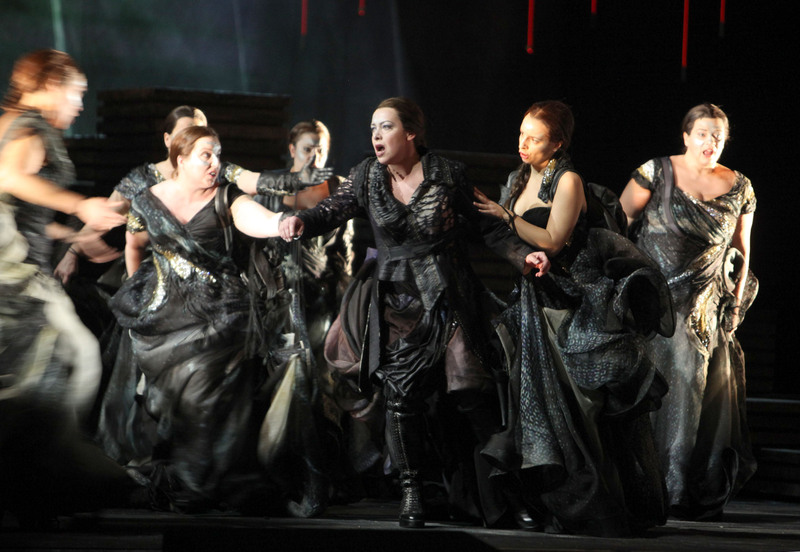 The chorus was very powerful, particularly in Act 3, and the soloists produced excellent support. Ketevan Kemoklidze was wonderful as the Montague page, as was Alfie Boe as Tybalt, and Vitalij Kowaljow was a very fine Frère Laurent. Simon Neal sang strongly in the small part of the Duke, and Darren Jeffery as Capulet and Stephane Degout as Mercutio, portrayed their roles most convincingly. This production by Nicolas Joël, with designs by Carlo Tommasi, gives a sense of power and imperviousness to the Capulet house. What it failed to give was a convincing sense of emotion that might have been helped by concentrating on some small details. For instance Juliet is evidently in a state of distress when being conveyed to the altar, and collapses as she gets close to it, but the priests stood motionless until kneeling. Surely some expression of surprise and concern would not come amiss from the extras playing these roles. Of course this wedding ceremony is one of several differences from Shakespeare. The libretto by Barbier and Carré is based on the Bard, but takes various liberties, including the ending: a final duet before Juliet kills herself, and no appearance of Paris at the tomb. I prefer Shakespeare, but Gounod’s music is strongly evocative of the drama, and was beautifully conducted by Daniel Oren. He started with enormous bounce, and showed a very gentle style in the right places, particularly the beginning of Act 2 in the garden where Piotr Beczala’s performance of Romeo’s cavatina Ah! lève-toi, soleil! elicited huge applause and moved the performance into a higher gear. Further performances are scheduled for October 29 and November 1, 5, 8, 11, 13, 17, with Maria Alejandres as Juliette on November 11 and 17. For more details click here.